CAIN ALTO, Puerto Rico (AP) — After months of darkness and stifling heat, Noe Pagan was overjoyed when power-line workers arrived to restore electricity to his home deep in the lush green mountains of western Puerto Rico. But to his dismay, instead of raising a power pole toppled by Hurricane Maria, the federal contractors bolted the new 220-volt line to the narrow trunk of a breadfruit tree — a safety code violation virtually guaranteed to leave Pagan and his neighbors blacked out in a future hurricane. “I asked the contractors if they were going to connect the cable to the post and they just didn’t answer,” said Pagan, a 23-year-old garage worker. After an eight-month, $3.8 billion federal effort to try to end the longest blackout in United States history, officials say Puerto Rico’s public electrical authority, the nation’s largest, is almost certain to collapse again when the next hurricane hits this island of 3.3 million people. “It’s a highly fragile and vulnerable system that really could suffer worse damage than it suffered with Maria in the face of another natural catastrophe,” Puerto Rican Gov. Ricardo Rossello said. Another weather disaster is increasingly likely as warmer seas turbocharge the strongest hurricanes into even more powerful and wetter storms. Federal forecasters say there’s a 75 percent likelihood that the 2018 Atlantic hurricane season, which begins Friday, will produce between five and nine hurricanes. And there’s a 70 percent chance that as many as four of those could be major Category 3, 4, or 5 hurricanes, with winds of 111 mph (179 kph) or higher. 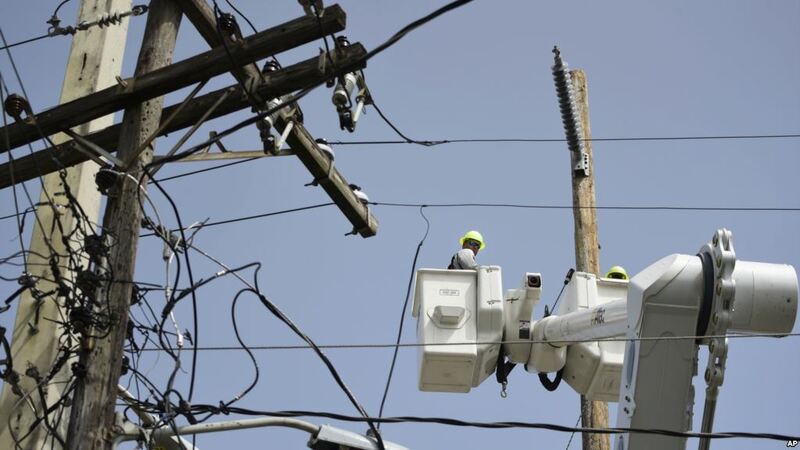 “It’s inevitable that Puerto Rico will get hit again,” said Assistant Secretary Bruce Walker, head of the U.S. Department of Energy’s Office of Electricity, which is planning the long-term redesign of the grid run by the Puerto Rico Electric Power Authority. Despite the billions plowed into the grid since Maria hit on Sept. 20, 2017, Puerto Rican officials warn that it could take far less than a Category 4 storm like Maria to cause a blackout like the one that persists today, with some 11,820 homes and businesses still without power. Original story published by Associated Press. Read more here.